This was supposed to upload Friday, but I wasn’t able to get it uploaded until today. Still check back tomorrow for my newest video :D! Hello I'am French I love the coiff is very magical…..I lova you bay ! I want more Lauren Conrad tutorials pronto! Love it!!! My hair is so hard to curl too however the curls end up falling apart towards the end of the day. Are there any good products that you recommend before you start to curl? Will I get the same look with a curling wand? Hi Kelly! After watching this I got so inspired and bought a 1 1/2 inch curling iron yesterday, Haha. I love this tutorial the most! Anyone got any hair ideas for picture day. I don't know if i should keep my hair down or up. Any ideas??? can you do a tutorial for how to curl your hair like that with the curling iron? its different and i dont know how to do it. can you just…eem…can you just let me borrow your hair? forever? I recently cut mine to about my shoulders and i wish i hadn't because i spent a year growin git out long. it was a kind of 'spur of the moment decision' to cut it and its nice but i want my long hair back like yours aahh!!! You are soooooo naturally PRETTY! could you do one for homecoming? I actually got nominated and i have no idea what im doing with this boring lump of hair! haha Help? Guys like it show can see please! does any else think that she looks somewhat like Jenna Hamilton from awkward??? soft waves! it works perfectly and super fast! Is it me or your "Bye" at the end sounds different now? I absolutely LOVE the sideswept bun! I will definitely be trying this one! Thanks for the awesome vids–you're an inspiration Kaley! 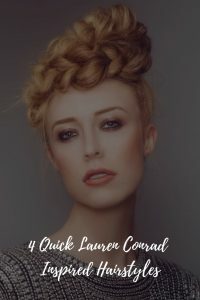 Could you show in another tutorial how you curl your hair that way?! 🙂 I tried and it's confusing!! liked the last one most. it looks so good on you! HOMECOMING HAIR TUTORIALS!! Btw, great video! You're so pretty!! the wavey hair looks so good on you!! you sounded a little tired in this video compared to usual (at least to me you did). I know you're working suuuper hard lately; make sure you schedule R&R time too! UR THE BEST HAIR GURU EVER! Ty so much for inspiring us!